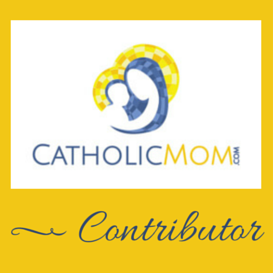 Life of a Catholic Librarian: A few Kindle deals for my fiction fans! I talked extensively during Tea Time about the cozy mystery series that are being turned into movies over at Hallmark Movies and Mysteries. One of these is Joanne Fluke's Murder She Baked series, and Chocolate Chip Cookie Murder (Hannah Swensen series book 1), is on sale for Kindle today for $1.99! "Hannah already has her hands full trying to dodge her mother's attempts to marry her off while running The Cookie Jar, Lake Eden's most popular bakery. But once Ron LaSalle, the beloved delivery man from the Cozy Cow Dairy, is found murdered behind her bakery with Hannah's famous Chocolate Chip Crunchies scattered around him, her life just can't get any worse. Determined not to let her cookies get a bad reputation, she sets out to track down a killer. But if she doesn't watch her back, Hannah's sweet life may get burned to a crisp." This is something else I mentioned in last week's Tea Time, though sadly this one isn't on sale. 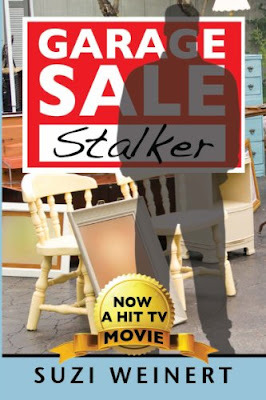 After a little librarian sleuthing of my own, I discovered that the Garage Sale Mysteries are in fact books! "Jennifer Shannon lives in secure, affluent McLean, Virginia, where she stumbles into danger lurking in places she thought absolutely safe. Her passion for weekend treasure hunting at local garage and estate sales pulls her into a twisted world of crimes, child abuse and murder. When Jennifer is forced to match wits with an antagonist bent on revenge, her family's safety and her own desperate situation hinge on her intelligence and resourcefulness." This title is at regular price, $9.95, right now for Kindle! 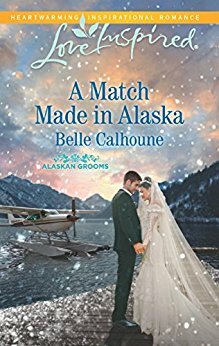 Love Inspired Suspense A Match Made in Alaska (Alaskan Grooms series), dropped from $4.99 down to $3.99. "Librarian Annie Murray hoped participating in Love, Alaska's "Operation Love" would lead to finding a rugged bachelor to call her own. But as her flight crash lands before reaching herdestination, she finds herself alone with her pilot, Declan O'Rourke.Annie's met charmers like Declan before--now she wants a man ofsubstance. Forced to survive with him in the snowy wilderness, Anniediscovers Declan's depth--and he begins to see the shy librarian's heart of gold. But once back in town, outside sources threaten their bond.It'll take all the bravery they had in the wild for Annie and Declan tofind love in small-town Alaska." We looked at Ellen Carsta's The Secret Healer last year for our summer book club, potentially. 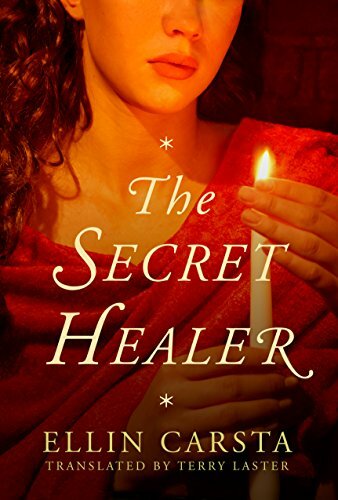 This is historical fiction, featuring a midwife storyline. Marked down to $1 for Kindle, but free for Prime members! "In the fourteenth century, opportunities for women are limited to the home. But spirited young Madlen finds her calling as assistant to the city’s trusted midwife, Clara. Working alongside Clara, Madlen develops a surprisingly soothing technique and quickly becomes a talented healer. After Clara’s tragic death, Madlen alone rushes to assist the birth of a local nobleman’s child. But rather than the joy of birth, Madlen walks into an accusation of murder and witchcraft because of her extraordinary gifts. Forced to flee her own town, she establishes a new identity in the home of her aunt. Yet even though it endangers her life, she cannot resist the urge to help the sick patients who seek out her miraculous treatment. When she meets handsome Johannes—an investigator hired by the Church to bring her to justice for sacrilegious acts—she becomes drawn to the very man who could destroy her. Will Madlen’s gifts bring about her downfall? Or can love and reason prevail in a time of fearful superstition?" oooooo, this is a good one! I downloaded this too. :0 A Lighthouse Library Mystery, By Book or By Crook, marked down to $2.99 from $5.99. "For ten years Lucy has enjoyed her job poring over rare tomes of literature for the Harvard Library, but she has not enjoyed the demands of her family’s social whorl or her sort-of-engagement to the staid son of her father’s law partner. But when her ten-year relationship implodes, Lucy realizes that the plot of her life is in need of a serious rewrite. Lucy is thrilled to land a librarian job in her favorite place in the world. 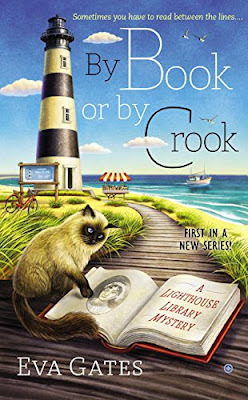 But when a priceless first edition Jane Austen novel is stolen and the chair of the library board is murdered, Lucy suddenly finds herself ensnared in a real-life mystery—and she’s not so sure there’s going to be a happy ending...."
Librarians AND lighthouses? Boom. Done. On my Kindle. Finally, we have the Men of Lancaster County series by Mindy Starns Clark and Susan Meissner. I've read Mindy Starns Clark mysteries before, and have LOVED them. This entire 3 book series has been marked down to $2.99 per book! The first book is The Amish Groom. "New from bestselling authors Mindy Starns Clark and Susan Meissner, The Amish Groom (Book 1 in The Men of Lancaster County series) explores the men of an Amish community in Lancaster County, how their Amish beliefs play out in their unique roles, and the women who change their lives. When an opportunity to connect with his father unexpectedly arises, a visit to California causes Tyler to question everything, including a future with Rachel. Will the new girl in his life, Lark, cause him to remain in the Englisch world? 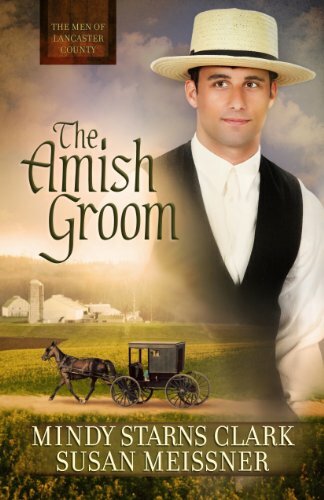 Or will he choose to be an Amish groom after all?" Are you downloading any of these titles? Tell me all about it! I do a lot of driving and was in need of a new audiobook. 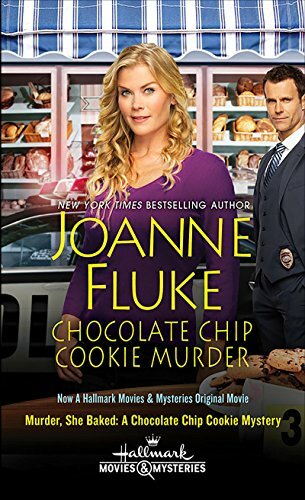 My library had a Chocolate Chip Cookie Murder in audio so I downloaded that one. Tomorrow has a longer commute so I'll start it then. ooooo, PERFECT!!! I filed it away (with all of the other new downloads *halo*) in my Kindle collections, and I can't wait to read it! oh good Cindy! I adore Love Inspired Suspense. I've read other series in that line set in Alaska, but not in this particular series. I'm excited too!